On January 13, 1999, Hae Min Lee, a high school senior at Woodlawn High School in Baltimore County, disappeared. Her body was found nearly a month later. In February 2000, Adnan Syed, Hae’s ex-boyfriend, and a fellow senior at Woodlawn, was found guilty of her murder and sentenced to life plus 30 years. He’s contested the conviction ever since. But no one knew about Adnan and Hae back then. It wasn’t until 2014, when Serial, the first blockbuster podcast, made Hae and Adnan into household names. Sarah Koenig, Serial’s host, extensively interviewed Adnan and others involved in the investigation, and even uncovered evidence which helped Adnan mount an appeal for a new trial. My friends and I, lawyers ourselves, were *obsessed* with Serial. We listened to the episodes as soon as they came out on the commute to our jobs at a big law firm in Silicon Valley. Then we discussed it on a private message board one of us set up for the purpose. We knew Adnan’s voice, we knew his alibi, we knew how the evidence against him was flawed. By the time the podcast concluded, most of us were convinced that Adnan was innocent. That is, until this past Sunday, when HBO premiered its own documentary, The Case Against Adnan Syed. Although so far only one episode of the four part series has aired, HBO’s version of the story is markedly different than Serial’s. The main difference to me? We get to hear from Hae, in her own words, from the diary she kept during the year before her murder. Lots of things happened to Hae that year. She went to see a Monet exhibit with her French class, she played on her school’s winning field hockey team, she studied for her SATs. And then, a cute popular boy named Adnan Syed asked her to the junior prom. Hae and Adnan started dating, fell in love, fell out of love, broke up, got back together, broke up again… and through it all, she kept her diary. 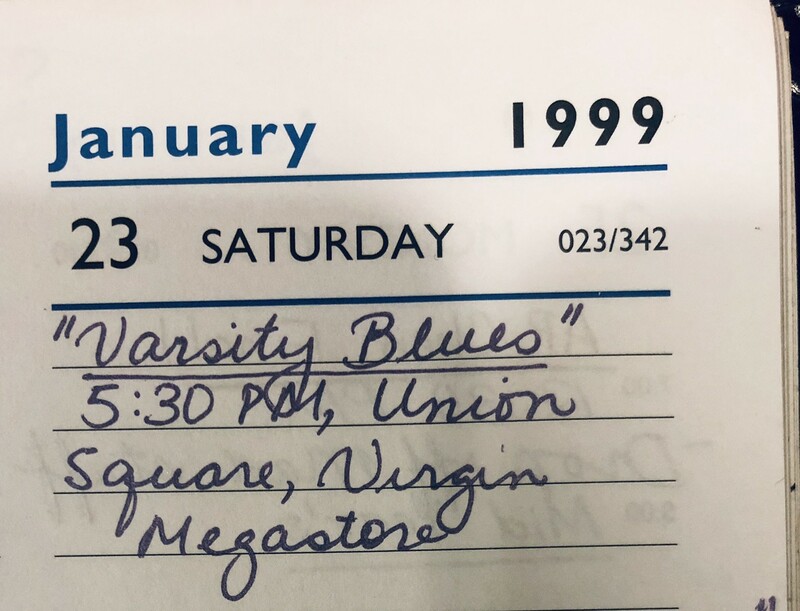 When I heard Hae’s diary entries read out loud, in all their teenaged naïveté and angst, I couldn’t help but think of my own high school diary. Hae and I were the same age, and many of the things she went through, I went through, too, at the exact same time. Like Hae, I was an immigrant kid trying to get into college, date, hang out with my friends, lie to my parents about where I was going and who I was with. I knew that my diary had nearly identical entries. So I dug it up. On January 8, 1999, I went to a party at a friend’s house, drank a lot of vodka, and kissed a boy I liked. Two weeks later, we went on our first date. On August 27, 2010, we got married. Six years after that, we got divorced. At the time, it felt like the end of the world. But hearing Hae’s voice, I can’t help but think about the entire life I got to live in the twenty years she didn’t have. And how I still get to live more of it every day going forward. 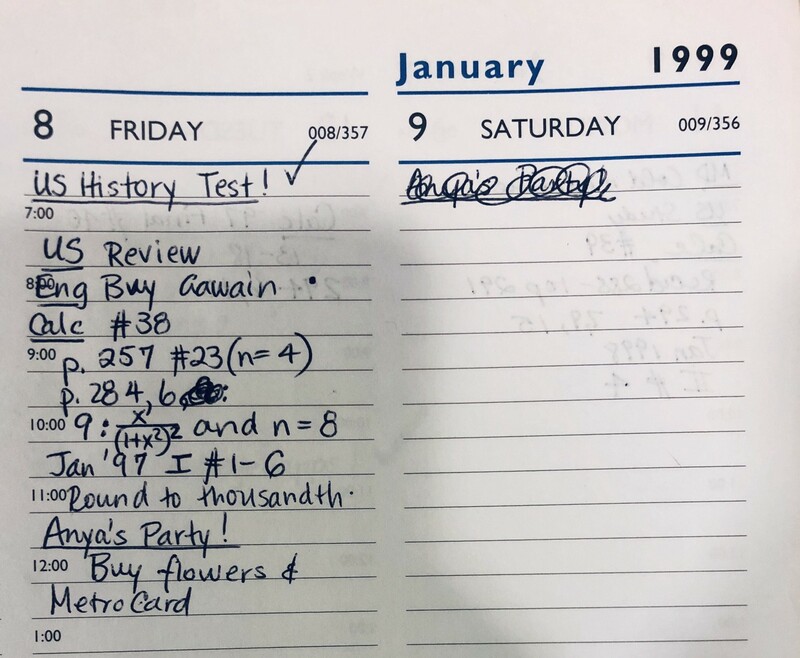 In high school, when we were taking those SATs, and doing all those extracurricular activities, Hae and I both aspired to do something big with our lives, even if we didn’t quite know what that would be. But now I just really wish she got to grow up, like the rest of us, completely ordinary and unknown. Because maybe that’s the greatest thing any of us can aspire to in the end.